Currently Lake Tahoe MLS shows 337 active Lake Tahoe real estate listings. The median Lake Tahoe real estate price is $859,000 and average Lake Tahoe property price at $1,630,210. Average days on the market is shown in Lake Tahoe MLS to be 198 days which remains steady over several weeks. Lake Tahoe MLS shows that in the last week 12 Lake Tahoe homes sold, and overall between 10 and 15 homes sell per week, which makes it about 6 or 7 months of Lake Tahoe real estate inventory. Lowest priced sale was at $172,500 in Tahoma Real Estate, and highest at $2,000,000 in Truckee real estate. Average Lake Tahoe real estate price was $963,277, and median Lake Tahoe real estate price was $897,500, both trending up. Average days on the Lake Tahoe real estate market was 245, which is an increase over the past weeks. Currently Lake Tahoe MLS shows 184 active Lake Tahoe condominiums. This makes the median Lake Tahoe home price $495,000, and average Lake Tahoe real estate price at $782,726. Average days on the market is shown in Lake Tahoe MLS to be 204 days. Lake Tahoe MLS Shows that in the last week only 3 Lake Tahoe condominiums sold. Average price was $707,633 and median sold price was $799,000 and days on the market was 224. The lowest Lake Tahoe condominium sold was in Tahoe Donner real estate for $70,000, and highest in Tahoe City Real Estate at $1,150,000. Lake Tahoe MLS shows 178 active Lake Tahoe Luxury Homes, which is Lake Tahoe real estate above $1,000,000. Both condos and single family properties are included. Average Lake Tahoe luxury homes price is $2,842,532 followed closely by $2,145,000 median Lake Tahoe luxury home price. Incidentally, this is about the starting price for Lake Tahoe lakefront homes. Per Lake Tahoe MLS there were 6 Lake Tahoe luxury homes sold last week. Highest sold Lake Tahoe luxury property last week was in Old Greenwood, Truckee Real Estate, at $2,000,000. Average Lake Tahoe luxury home price was $1,459,555, and median Lake Tahoe luxury property price was $1,349,500. Lake Tahoe real estate shows tremendous improvement, and remains very active. Now is a very good time to buy, as we have seen a steady rise in Lake Tahoe properties prices week over week. It is no secret that Lake Tahoe real estate agents get paid only if a Lake Tahoe house sells, but today I am feeling generous and giving you some houses for FREE! There is no catch or lottery to enter, the houses truly are free! … the land, however, is not. The caveat is that they have to be moved and restored. These homes are gathered from This Old House back pages. Must be moved. The house was built in 1866 on land once owned by Joshua Hempstead, author of a famous diary documenting life in 18th-century New England. Was once home to Arthur and Hazel Eastman, proprietors of an adjacent general store known as the Wal-Mart of its day here in Weare, New Hampshire. 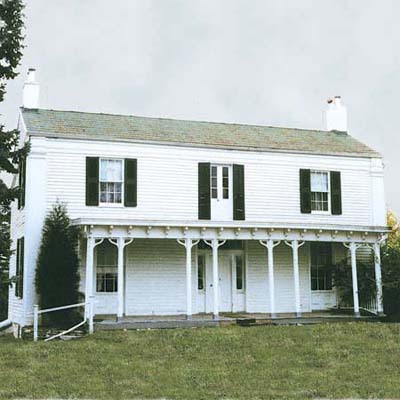 The house’s rear ell was built way back in 1766. 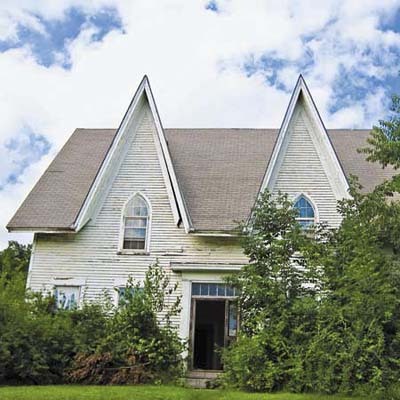 About 100 years later, the front addition was constructed, giving the house its distinctive character. Contact: Historic Landmarks Foundation of Indiana, 812-926-0983. 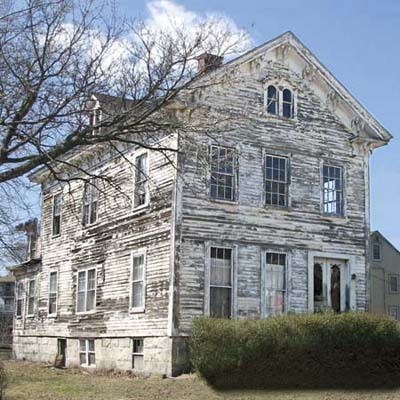 This 1845 Federal-meets-Greek-Revival house is still available free to anyone willing to sweep it off of its limestone foundation and move it to a new location. Four stone fireplace mantels are also included in this 3,000-square-foot four-bedroom house. For land to put these free houses on, contact Olja Mihic, Lake Tahoe Realtor, or search Lake Tahoe Real Estate as it appears in real time on Lake Tahoe MLS. For move in ready Lake Tahoe luxury homes click on link, or for ski in/out luxury Lake Tahoe real estate search Squaw Valley Real Estate. Currently Lake Tahoe MLS shows 328 active Lake Tahoe real estate listings. The median Lake Tahoe real estate price is $872,000, which is only a slight decrease from last week’s $875,000, and average Lake Tahoe property price at $1,683,706 which is a decrease from last week’s $1,705,049. Average days on the market is shown in Lake Tahoe MLS to be 201 days which remains steady over several weeks. Lake Tahoe MLS shows that in the last week 15 Lake Tahoe homes sold, which is an increase from last week’s 10, but overall between 10 and 15 homes sell per week, which makes it about 6 or 7 months of Lake Tahoe real estate inventory. Lowest priced sale was at $310,000 in Truckee Real Estate, and highest at $2,791,800 in Tahoe City real estate. Average Lake Tahoe real estate price was $817,405, which is an increase from last week’s $734,998, and median Lake Tahoe real estate price was $715,000, which is a decrease from last week’s $805,000. With the 11.2% increase in average sales price, the Lake Tahoe Luxury Homes market still dictates the averages, but median price decrease of 12.5% could be in part due to the slow winter season. 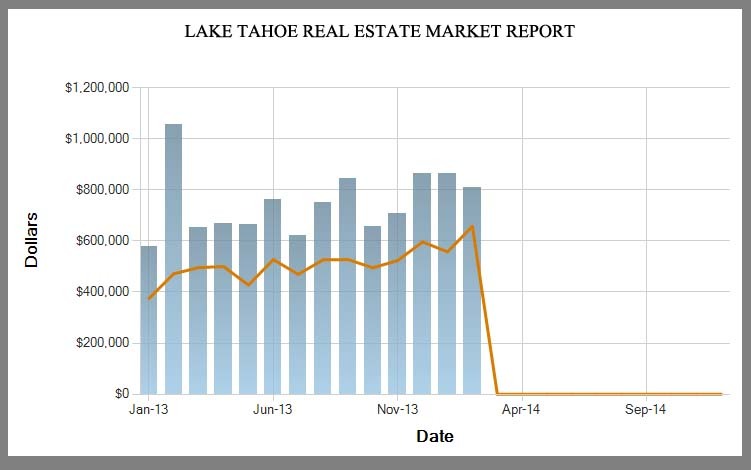 Average days on the Lake Tahoe real estate market was 77, which is a slight decrease over the past weeks. Currently Lake Tahoe MLS shows 178 active Lake Tahoe condominiums, which is a slight decrease from last weeks 185, and a good news for the Lake Tahoe condominium market. Lowest list price is $40,000 in Tahoe Donner, and highest at $6,499,000, famous Godfather II estate in West Lake Tahoe Real Estate location of Fleur-de-Lac . This makes the median Lake Tahoe home price $568,500, and average Lake Tahoe real estate price at $771,935, showing slight increase over several weeks. Average days on the market is shown in Lake Tahoe MLS to be 205 days, which is slightly higher as week prior. Lake Tahoe MLS Shows that in the last week 8 Lake Tahoe condominiums sold, which is a huge increase in several weeks of just one or two sales per week, and another great news for Lake Tahoe real estate! Average price was $533,125 and median sold price was $441,500 and days on the market was 178. Interestingly, for the prior couple of weeks when we only had one or two sales, the average days on the market was half of this week’s, but so was the average condo price, which further proves a theory that buyers were hoping for more under 300K condos which never hit the market, so we may begin to see more steady activity now. The lowest Lake Tahoe condominium sold was in Tahoe Donner real estate for $290,000, and highest in Truckee Real Estate at $975,000.